Barnfield - World of Chicken | 2 Sisters Storteboom B.V.
Real craft from the industry, that is what Barnfield - World of Chicken stands for. Our roots lie in Barneveld, where we produce a versatile range of freshly roasted Chicken Convenience products from the base and with real craftsmanship. For this wide range, we naturally work with chicken from our own chain. 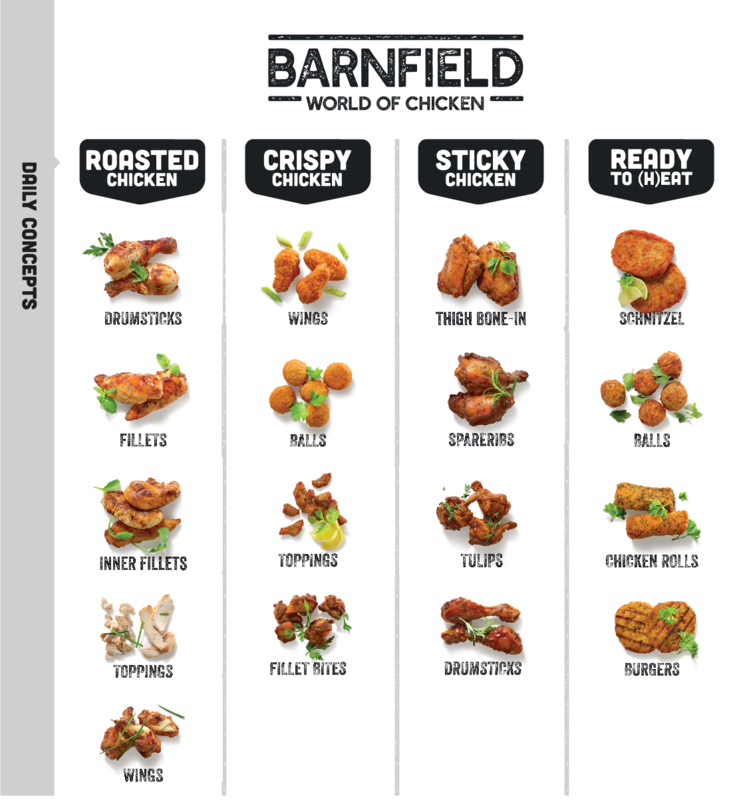 The Barnfield Convenience products are contemporary, top-notch, meet the needs of many consumers and respond to the trends that we see in the market. With our years of expertise in the field of chicken, we always guarantee tasteful and perfectly cooked chicken. And of course always made with love!